Kim Gorga, the voice of digitalYou, enjoys using her digital voice to speak on behalf of the many non-profits with whom she’s worked. With a specific personal focus on animal welfare, she has also worked and volunteered with organizations that work with elder care, children, nutrition, ecology and poverty resolution. Kim is guided by a strong charitable core and strengthened by a solid technical and marketing background. She has worked both with international and local non-profits and enjoys the unique challenges of each. She has also worked with for-profit agencies and uses best-practices from that world to introduce a more holistic approach to her workflow. Most notably she worked with the Petco Foundation for five years to concept, actualize and maintain their online presence, including the establishment of email marketing, social media, website development, and online contests. She wrote and executed an aggressive growth plan that ultimately increased online donations by more than 700 percent and increased social awareness evinced by the establishment of 90,000 social media followers and an increase of website traffic by 300 percent over a five-year period. She wrote an extensive procedures manual and trained two staff-members to successfully continue the program when her tenure was completed. 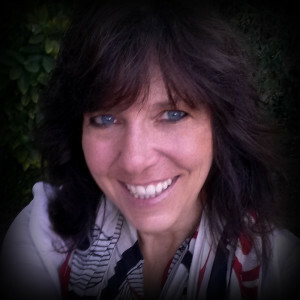 Kim founded and worked with Pit Bull Rescue San Diego (PBRSD) from 2005 – 2018, serving as President of the Board of Directors and Director of Online Programs. She used her web design and writing skills to create and implement the PBRSD website and provided update services as needed. She initiated both an email communications program and the social community on Facebook, Instagram and Twitter before handing them off to other volunteers to continue. She was involved in or aware of all facets of the organization, giving her a unique insight into the challenges her other clients in animal welfare might face. She takes a solid business approach to planning the organization’s marketing outreach. The PBRSD email marketing calendar combined with a monthly giving platform allowed PBRSD to take in many medically at-risk dogs and to provide them with the best of veterinary care before adopting them out to loving families. An avid volunteer, Kim has worked with multiple animal welfare organizations to provide foster, dog evaluation and training services. She has fostered more than 30 animals over the past 10 years. She has been a top fundraiser for the San Diego Humane Society, provided web and social media services to Vintage Hollywood Foundation (a foundation that supports various California charities) for many years, has provided graphic design services to the San Diego Animal Support Foundation, and offered her time at the San Diego Food Bank. She moved to the Pacific Northwest in 2015 and currently spends many of her volunteer hours supporting the efforts of Homeward Pet Adoption Center in Woodinville, WA and Scooter’s Place in Monroe, WA. She enjoys hiking and often comes up with her best campaign ideas while out on the local trails. Personally dedicated to her own health, she supports local agriculture’s CSA programs and supplements with organic foods grown in her garden. She enjoys photography, dabbling in both pet and macro photography, and often gives tips to photographically inclined volunteers for how to provide their chosen organizations with the best photos for social media outreach. She shares her home with her husband, domestic cat (Buddy) and pit bull (Max). Now that you’ve read this far in this brief bio, you need to know that one of the things she dislikes most is talking about herself in the third-person. However, one of the first consistencies she will review on your existing digital program is your brand cohesion. Brand cohesion entails making certain that all pieces of your brand identity, including the voice you choose for your company, are consistent throughout all media. She promises to talk with you in the first-person in email and face-to-face interactions.